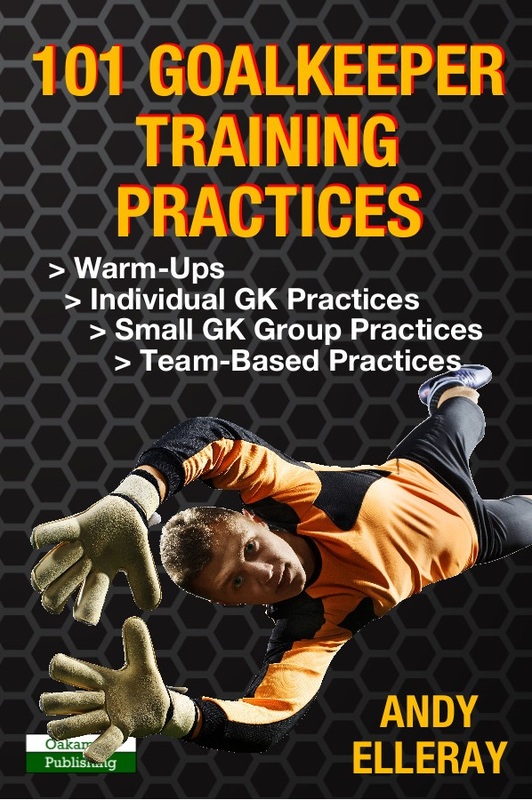 In 101 Goalkeeper Training Practices, goalkeeping coach Andy Elleray follows up his previous trilogy of goalkeeping books to provide fellow football coaches and goalkeepers with a wide variety of new practices that cover many aspects of goalkeeping. Practices are broken down into three areas: working with an individual goalkeeper, small groups of goalkeepers training together, and fuller team-based exercises. The overall intention is to provide realistic, varied, relevant, and innovative practices that stimulate the goalkeeper in every element of their game and performance. The goalkeeper training exercises in the book – illustrated with colour diagrams – focus on five main viewpoints – technical, tactical, psychological, physical, and social/environmental. Each practice is weighted to develop these elements to greater and lesser degrees, and exercises include 1v1 techniques, decision making, shot stopping from different angles/distances, travelling around the goalmouth, re-positioning, cutback scenarios, and more. There are also sections on key coaching observations and how to progress/regress the practices. All the listed practices are real-world and have been used at a variety of levels within football to enhance goalkeeper development of all ages. They can all be adapted based on the numbers of players and resources available to the coach, while fundamental factors such as time and space allow the coach to be creative with how the exercises are implemented. The variety of practices and exercises will provide goalkeepers at all levels with the opportunity to hone their skills and not just become a brilliant protector of the goal, but also the 11th player on the ball – a prominent member of their team’s strategy and dynamic. 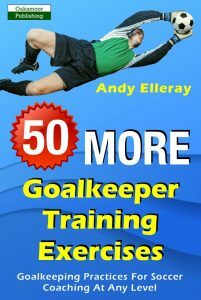 About The Author: Andy Elleray is a goalkeeping coach who also specializes in performance analysis and sports science. His former clubs include Cheltenham Town, Liverpool and Chelsea, working at different levels, and in a variety of roles. He is currently responsible for the goalkeeping development at Birmingham City Women Football Club where he works at all levels of the club with youth international goalkeepers in the female game. Andy also coaches in the boy’s academy at Birmingham City where he works with young goalkeepers in the club’s pre-academy and full academy programmes. He is also involved in different regional and youth international coaching environments. Holding UEFA qualifications, Youth Awards, and a Master’s degree, Andy blends different approaches into his current coaching projects. 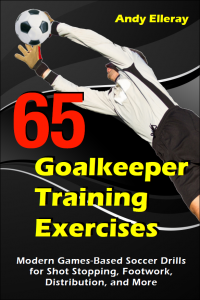 Andy is the author of previously published titles, including 65 Goalkeeper Training Exercises, and 50 More Goalkeeper Training Exercises.